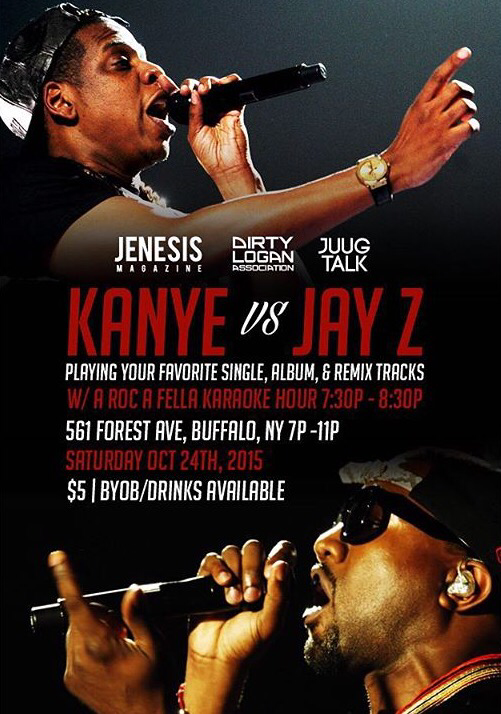 Dirty Logan x JENESIS Magazine Presents Jay-Z Vs. Kanye Party [10.24.15] – Be Fearless. Be Flagrant. 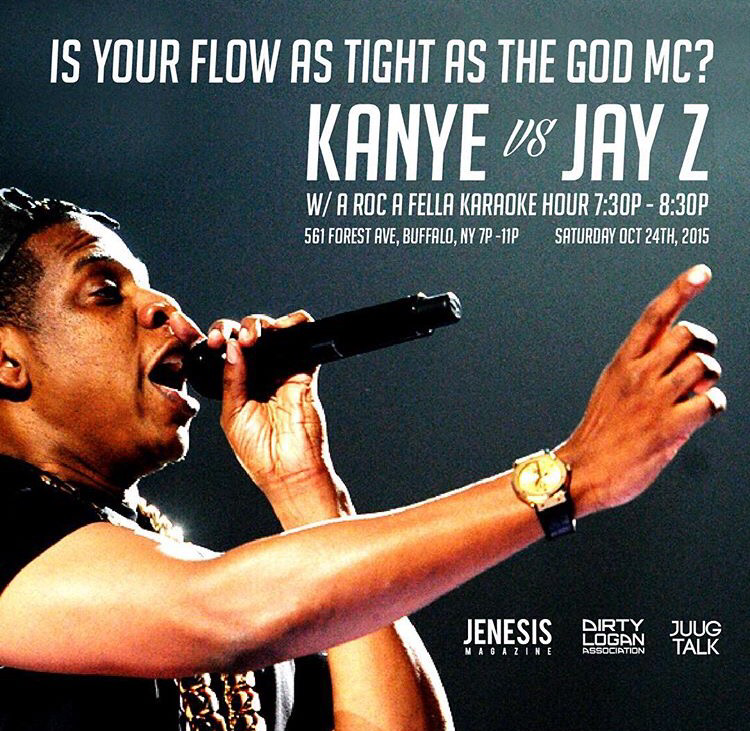 After JENESIS Magazine’s Drake Appreciation Party this Sladderday the 17th in Pittsburgh, PA, owner Thomas Agnew and the JENESIS family is headed up to Buffalo, NY to network with our #DirtyLogan Gang to do a special “Kanye Vs Jay Z” event on the 24th!!! 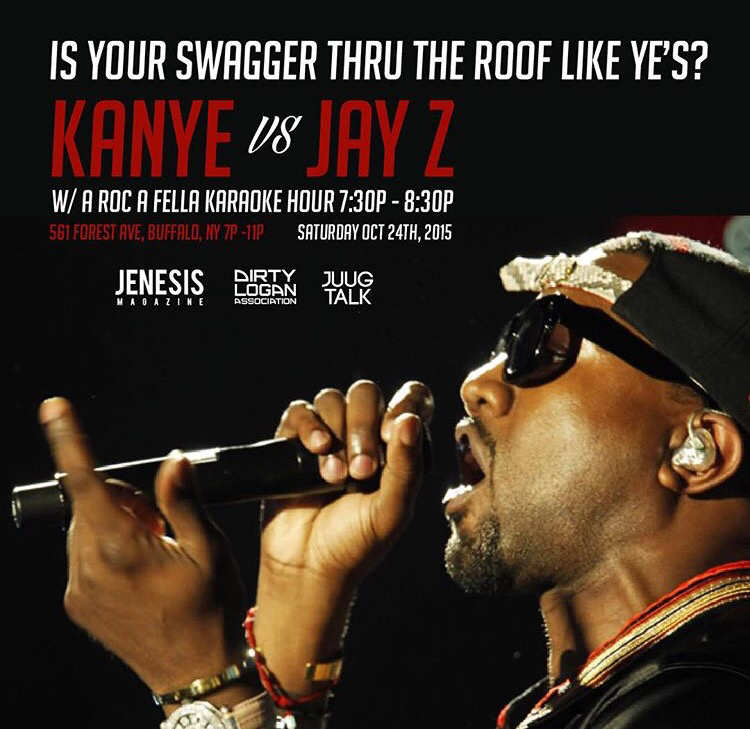 There will be a special Karaoke hour to see who can spit like Hov or Ye! 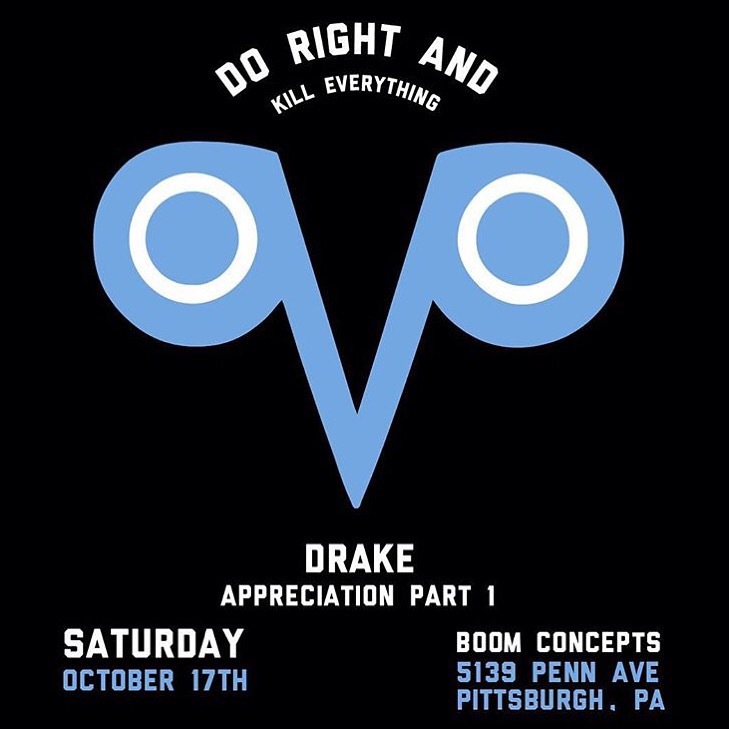 Event starts at 7pm EST and goes until 11pm!